Finishing is a major and significant part of carpentry and woodworking. It can be a renovation project or a professional furniture manufacturing; you can’t get along without finishing it with nails. Talking about nails and nail guns, pin nailers are one of the highly recognized tools to do that. From other nailers like brad nailers and other finish nailers, pin nailers stand unique from a lot of perspectives. However, in today’s post, we’ve come up with an extensive post on pin nailer and uses of it. Apart from uses, we’ve also discussed pin nailer types and a set of buying advice in our 23 gauge pin nailer reviews. Take a break from whatever you’re doing, and let’s have a closer look. From other nailers like brad nailers and other finish nailers, pin nailers stand unique from a lot of perspectives. How Can You Pick Up a Good Pin Nailer? Pin nailers are the smallest kind of finish nailer tool, which can go as thin as 23 gauge pins. As the pins used with pin nailers are headless, that results in tiny holes which are hardly visible. On a normal basis, they can be of a wide range in sizes- ⅜ inches to 2 inches. Apart from the small size, it can still go through the hardest of the woods. The pins used with this tool may not have a head, but the holding power is enormously high. Pin nailers can shoot ultra thin fasteners onto wooden surfaces. Although the length varies from ⅜ inches to 2 inches, not all kind of wood can handle all the lengths. In the installation of small-sized mounting on wooden furniture, cabinet or small millworks, pin nailers are broadly used. This range not only lies within light and softwoods. Apart from that, it’s also used in gluing and camping larger pieces of wood together. A carefully applied clamping pressure is a must in that case. Put in perfect alignment, a couple of pin nailer shots would be enough to get done with the job. However, here is a list of uses that pin nailers are widely appreciated for. They can deliver pins just on the spot. When you need pretty much-precise nailing on a narrow or thin workpiece, pin nailers are the go-to tool for you. 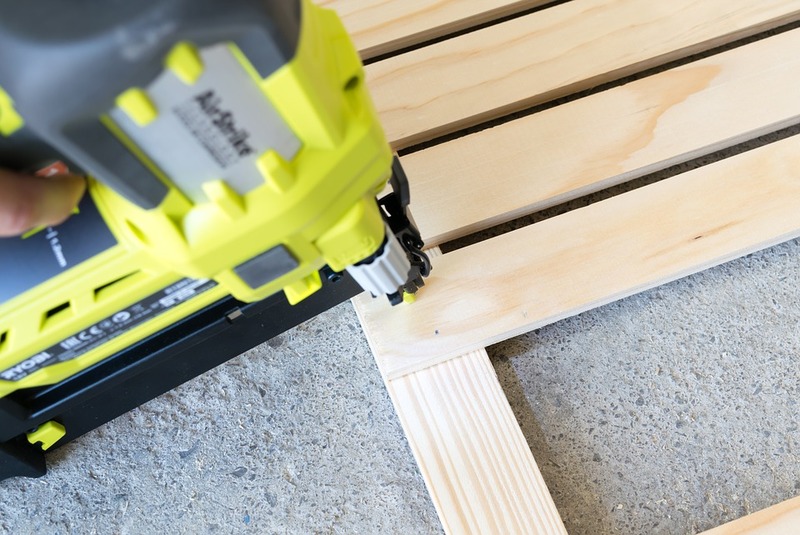 Although it’s not the first nailing tool that you would buy at first place, as long as you need accuracy in a small workspace given, pin nailers the go-to choice. Woodworkers and carpenters often prefer a pin nailer for fast and refined project assembly. When it comes to furnitures like cabinets, tables, utensils and other delicate pieces, pin nailers will fasten them up without any visible nail head on the surface. There is a dual trigger alignment in almost every commercial pin nailers. That’s essential when you want to prevent accidental misfiring on the workpiece. We were talking about the dual trigger alignment in the pin nailers at the previous point. Well, apart from preventing misfiring, it has another significant benefit. And that is- it turns the usability of a pin nailer into a super easy chore. All you have to do is to depress one trigger to engage the nailer and use another trigger to fire the pin. For beginners especially, it’s convenient to go with such instructions. When it comes to furnitures like cabinets, tables, utensils and other delicate pieces, pin nailers will fasten them up without any visible nail head on the surface. There are multiple parameters to recognize a good quality pin nailer. It includes functionality, safety concerns, usability and so on. PSI stands for pounds per square inches, and it’s the measurement of how powerful a pin nailer is. The higher the PSI, the more powerful, the more gun is. To prevent any unintentional damage, there is either a lockdown system of a dry-fire feature in pain nailer guns. As you’ve to hand-carry the pin nailer while using, of course, the size and weight matter. The usual weight limit is within 2 to 5 pounds. 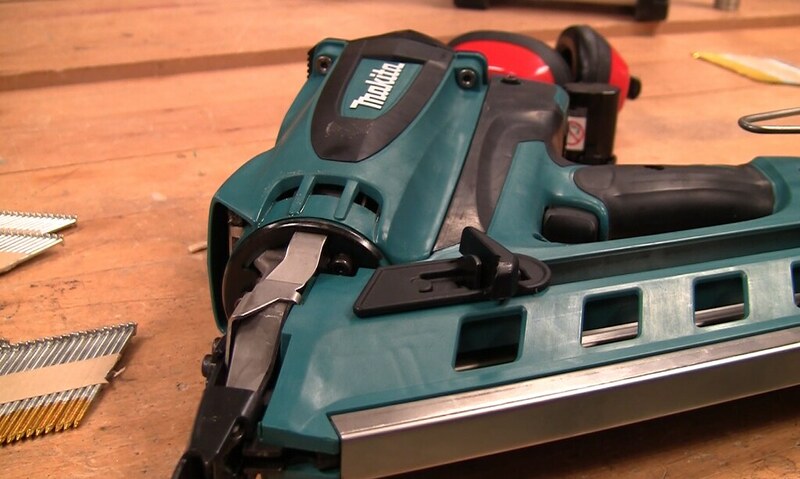 The way you can power up a pin nailer is also another buying factor. With corded nailers, you get to get more PSI and more workload reacceptance. But you will get limited within a short working area in this way. On the other hand, DC powered cordless nailers are pretty handy. You can use it anywhere without sourcing the power from AC adapters. But the workload that it can undergo becomes pretty much limited. Sometimes people get confused which nailer they need, a brad nailer or a Pin Nailer. To give you a detailed idea, we wrote everything in our latest 18 gauge brad nailer reviews. Well, in this article we have learned that pin nailer is used for speeding up a woodworking project, craft, and clean work for furniture and cabinet. Admittedly, it is a fastening tool that finishes up more accurately your work. But, as there are numerous options to choose from, you may end up with a dilemma when up in the market for picking up one. However, consider the buying guide section to hand-pick the right pin nailer within your budget. And no matter whichever product you pick, make sure it suits your application. Good luck with your woodworking!